At Zoho, our vision revolves around building an “operating system for business” – a complete ecosystem that powers the people and processes running your business. It was this vision, as well as the belief that social media marketing is not something you do in isolation, that drove us to build Zoho Social – software designed to tightly integrate social media with your marketing strategy and business goals. 60% of marketers named “measuring ROI” as one of the biggest challenges with social media marketing. Another 50% said tying social media activities to business outcomes was one of their top challenges. Today, I’m thrilled to announce that we’ve finally solved this problem. 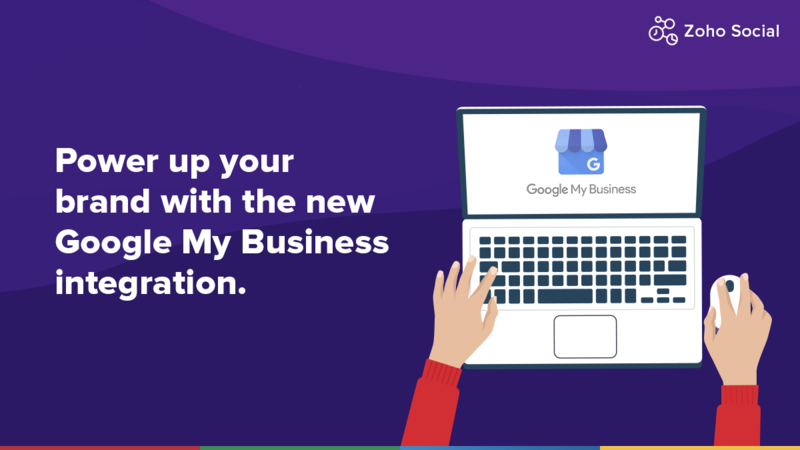 Zoho Social is now integrated with Zoho CRM – making it the first tool that can track revenue from your social media marketing efforts. This integration makes it possible for businesses to discover new leads on social media, to get a complete social view of CRM contacts, use social media to close deals faster, and to measure how much revenue is earned from social networks. Discover new leads and prospects on social media – We believe that every interaction is an opportunity for engagement, and that any engagement could evolve into a lead. 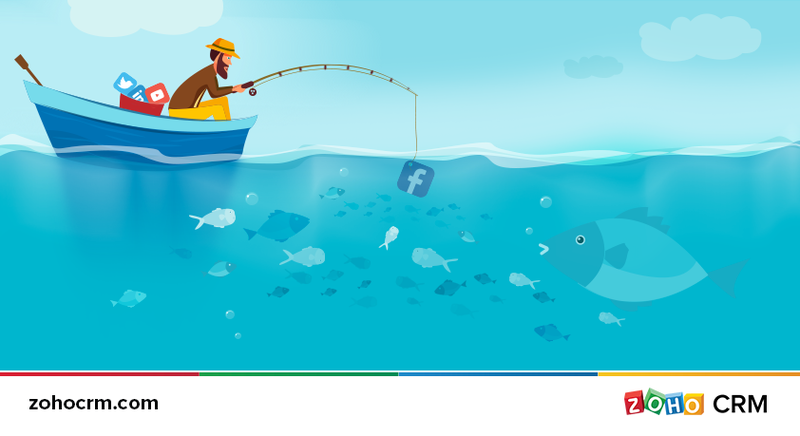 That’s why Zoho Social’s integration with CRM helps you generate leads from any action that a prospect could take on your social pages. Your next lead could be someone who followed your brand on a social network, liked or shared your post, sent you a message, posted to your brand’s page, posted about a keyword that’s relevant for your business…well, you get the picture. I’m pretty sure we didn’t leave anything out! As a part of this integration, you’ll find a handy little “Add to CRM” option in EVERY screen within Zoho Social. 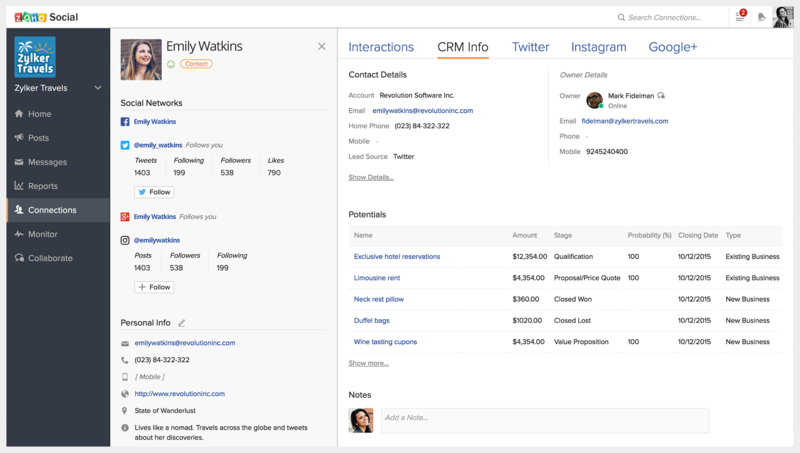 No matter which tab you’re in, you’ll be able to add new leads and associate connections to existing contacts in your CRM system. You can also automate the process of lead generation from social media by selecting any or all of a set of predefined rules. For example, you could set a rule that tracks everyone who mentions your brand on Twitter and automatically adds them as a new lead in your CRM. You could also add an additional keyword filter, so you get the most relevant leads for your business. There are a separate set of automation rules available for different actions on each social network, giving you endless possibilities for lead generation. A social view of your CRM contacts – One of the best things about Zoho Social, is that it gathers ALL social information about each of your connections. For every connection, we’ll show you all the interactions they’ve had with your brand, as well as their current social activity from across networks. Just a glance at your CRM contact inside Zoho Social gives you a full view of their social activities. You no longer have to piece together this information from multiple social networks. This is my favorite part of the integration, because it opens up SO MANY possibilities to get to know your contacts, better engage them, and help move them further up the sales cycle. You could take a look at your contact’s Instagram stream to see the pictures they’ve posted. Switch to the Twitter tab to see what they’ve been tweeting, who they’re connected with, and the tweets they liked. Check their G+ profile to see what they’ve been posting there. See all the interactions they’ve had with your brand. Looking through this information can give you a LOT of context to understand their interests and find new talking points. Everything you need to engage better with each contact is now available in just one window. 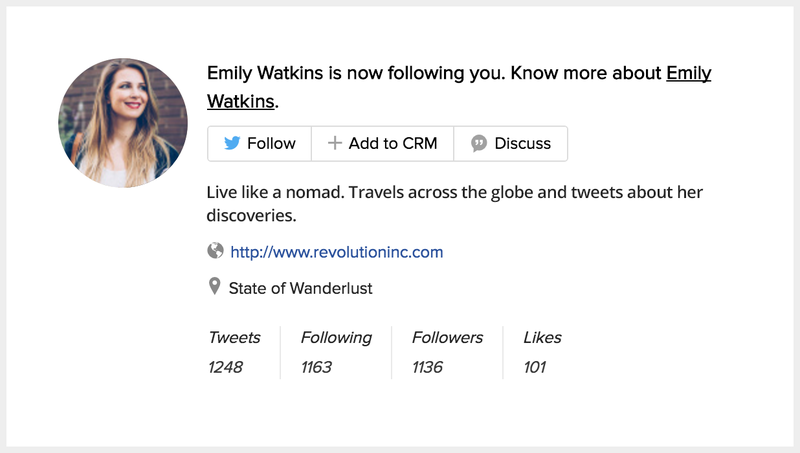 Since marketers now have access to all social information about CRM contacts, they can quickly share updates by leaving CRM notes or pinging contact-owners directly from Zoho Social. Using Zoho Social together with Zoho CRM completes the social selling cycle for your brand – Marketing can generate leads, identify opportunities, and keep the sales team informed about relevant conversations. This kind of feedback, enables teams to close deals faster and sell more. 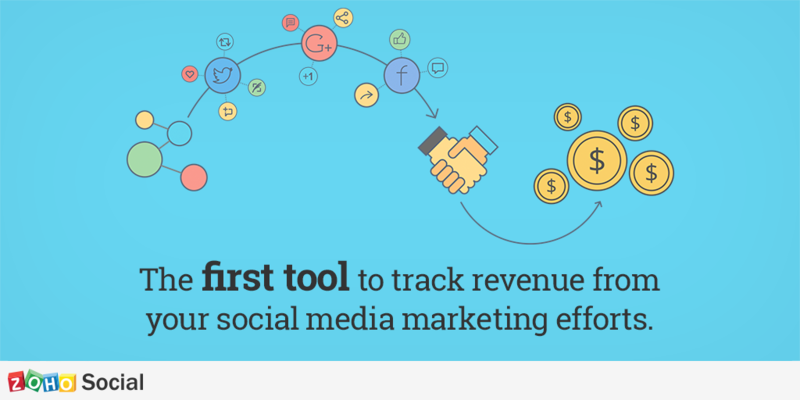 Measure revenue from your social media marketing efforts – The Zoho Social-CRM integration doesn’t stop at helping your brand generate qualified leads from social media and drive more sales. We go further, in helping you measure the actual, real-time impact of social media marketing on your revenue. You’ll have access to reports that show you a detailed breakup of the leads and contacts created, and deals won from social media. You can also see details of the revenue earned from your social media marketing efforts and identify which social networks work best in generating the maximum return for your business. Use smarter numbers to plan smarter social media efforts. I cannot see #Add to CRM” option on every screen? Hi @M Scott. You should be able to see the “Add to CRM” option once you’ve connected your Zoho CRM account with Zoho Social. To do this, you need to go to settings and enable CRM integration. Hope that helps! Please add LinkedIn icon to in share this post space. Helps reach targeted audience easily..
Frugal marketing — how SMEs can use social media for sales.